Kindle version 5.9 brings Amazon's "Send to Kindle" feature directly to iOS using built-in share sheet functionality. Powered by Apple APIs, "Send to Kindle" mimics desktop web browser extensions to port documents from mobile Safari to Amazon's Kindle format. Previously, users looking to send web content to their Kindle reader had to rely on clunky workarounds like emailing supported documents to their Amazon-assigned "Send to Kindle" address. The iOS version of "Send to Kindle" is full featured, meaning translated documents are compatible with Kindle device functions. For example, once a document is converted to Kindle format, users can adjust text size, font, line spacing and page color. 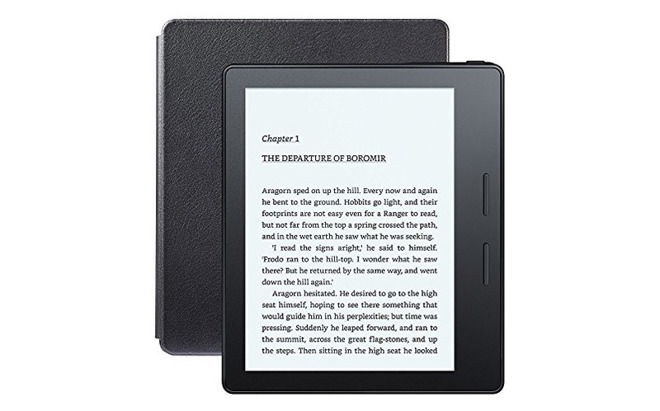 In addition, users can look up words in Amazon's provided dictionary, perform translations and conduct other Kindle functions just as they would a traditional e-book title. To enable Amazon's Kindle extension in iOS, tap on the share icon in Safari, navigate to "More" in the share bar and activate "Send to Kindle." Once enabled, tapping on the Kindle app icon will automatically parse and send a web document to a user's Kindle Library, subsequently pushing the content down to available Kindle devices. Kindle version 5.9 is a free 164MB download from the iOS App Store. Separately, Amazon on Tuesday updated Amazon Music to version 6.4 with support for CarPlay, Apple's in-car infotainment platform. While the online retail giant seems unwilling to bargain with Apple on bringing Prime video content to Apple TV, it is proactively building out a base for its fledgling music streaming services, which include the new Music Unlimited subscription tier. With today's app update, both Prime and Music Unlimited members can access tunes in their car from a custom interface designed specifically for CarPlay. Early screenshots, seen above, show a spartan UI consistent with other CarPlay-enabled music players, including Apple's own Music app. 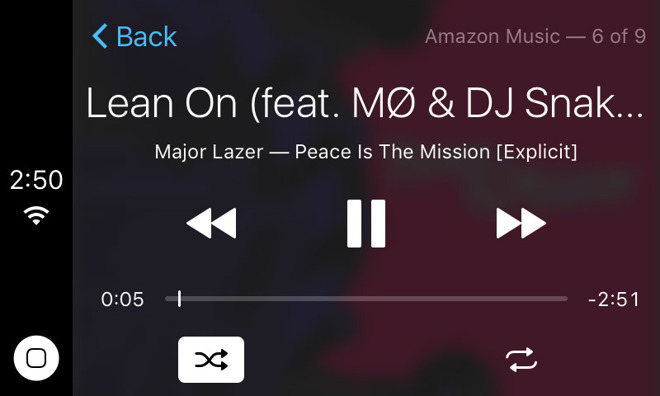 Amazon Music is a free download from the App Store and comes in at 95.2MB.